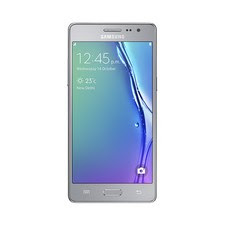 Samsung yesterday announced the Z3, a successor to its mildly successful Z1 Tizen Smartphone. With the Z3, Samsung is finally giving its Tizen OS customers and developers a deserving hardware. The Z3 borrows heavily from the design language used in the Galaxy Note5. The display size is upped to an AMOLED 5 inches sporting a 720 by 1280 pixels resolution. The Z3 will be powered by a quad-core Spectrum processor clocked at 1.3GHz, 2,600mAH battery, 1GB RAM, 8GB of on board memory which is expandable to 128GB via microSD. The Camera optics includes a 8MP back camera with a rather capable 5MP front camera. The dual SIM enabled was launched recently in the Indian market costs about Rs 8490 or about $131.